Over the past few days, Class 4 have been learning about how to stay safe online. We have explored the theme of consent - the meaning of consent and permission. We have looked at online examples of where people might need to give or consider giving permission. Moreover, we have discussed the rules and laws which organisations have to abide by. In particular, we have explored the new GDPR regulations which help to protect our 'data', including our personal information. We were surprised to find out that if a company doesn't ask for your permission for share your details, such as your email address, straight way then they may even be fined! We watched a video together which showed an example of where one person shared the details of their friend with others without their permission. We used role play to explore how both of the people might have felt in this situation and reinforced the importance of asking consent and respecting the wishes of others. As a class, we have also explored the children's right to say no. We looked at contexts where the children might not want to give permission, for example for someone to share on line an embarrassing or hurtful photograph. We discussed how they have the right to say no and not give their consent. That they should never feel pressurised into saying yes against their wishes. We discussed the importance of talking to a trusted adult if they ever felt this way. In addition, we discussed how important it was to be respectful when saying no -not doing it in a rude manner to offend. We referred to our 'Internet Legends' characteristic - Kind. 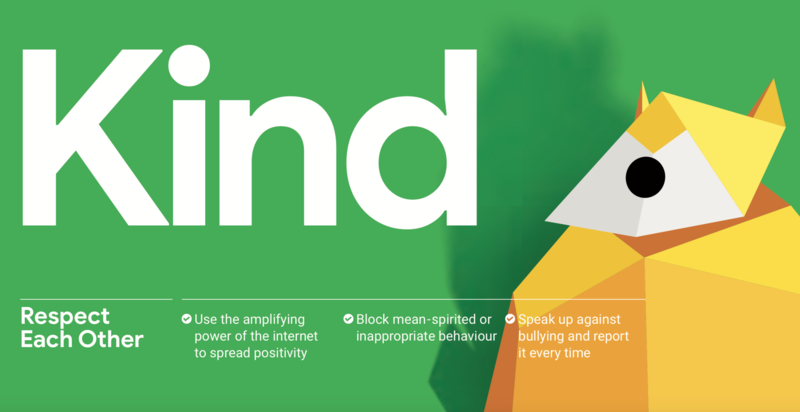 We reinforced how important it is to be kind when doing anything online. The children were so thoughtful and reflective during our discussions and demonstrated super understanding of hwo important the choices people make online are and how their choices might impact of others too. Make sure you know the rules about how to behave and stay safe on the sites, games and apps you like to use. Look out for buttons that let you block, mute and report other users who aren’t behaving and always ask for help if there is something you are not sure about. Always keep your personal information safe and any personal information belonging to your friends and family. Check with an adult before signing up to a new game or online service and before downloading a new app or game . Always think about how your online actions might make others feel. Be a respectful friend online and remember to ask for permission before sharing something about someone else. This could include a picture, video or piece of their personal information like where they live or their full name. Always be kind to others online and support your friends if they are having a difficult time. You can help your friends by showing them how to block and report in games and apps or by going to talk to a trusted adult with them. If you are ever unsure about something you see online, or anything makes you feel worried, upset or confused then ask a trusted adult for some help and advice.